The internet sure gets a bad rap these days. It seems like it’s known more as a place to trade insults and watch cat videos than as a valuable learning tool and storehouse of human knowledge (that you can use to watch cat videos). And if you’re a Spanish language learner looking to improve your grammar skills, you’ll find the internet is chock full of resources that are just the thing to help you master those difficult concepts. It’s time to show you just how much knowledge the web can weave. Once you start using these resources to your advantage, you’ll be on your way to learning grammar like a pro! What Types of Resources Are Available Online? Study guides — Even if your student days are behind you, there’s something to be said for the “just the facts, ma’am” format of the humble study guide. The best language-learning websites strike a balance by offering thorough explanations in a way that’s easy to understand. Quizzes — Are you curious about how well you understand what you’re learning? Online quizzes can help you test your newfound knowledge. Context-based practice — You don’t need to go out and find a native speaker to start learning how to use Spanish in context. From sentence practice to song practice, the internet is a great place to learn how to use Spanish in day-to-day life. There’s a whole collection of resources out there for the Spanish-savvy grammar guru in the making. Here are a few to get you started. 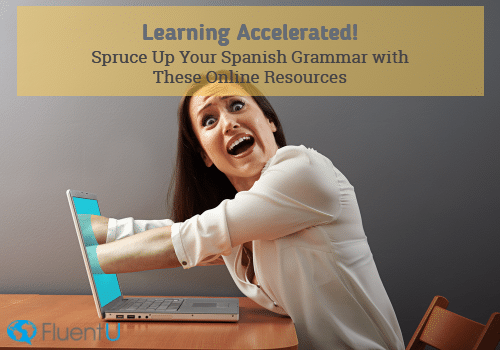 StudySpanish covers a wide variety of grammar topics and includes supplemental materials such as quizzes to help you continue learning. The website’s main product is its full language courses, and it shows: the study guides are organized in a friendly sidebar menu of more-or-less increasing difficulty. This means you can read through it from beginning to end for an in-depth refresher or simply pick out whatever topic you care to learn, study for a bit and take a quiz. A monthly membership fee unlocks the website’s full range of lessons, quizzes and the Camino del éxito (Path to Success) podcast. Without a membership, you’ll still have access to over 100 lessons and the basic quizzes for each. Maybe you’re a fan of learning Spanish with videos. However, you’re not a fan of pausing to look up words, replaying clips in the hopes of catching that one word you can’t make out and missing some things altogether. 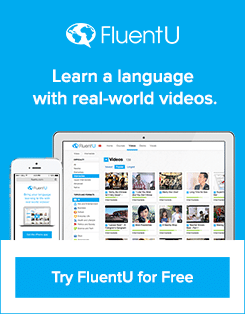 You need to check out FluentU! The site is built on classic content-based immersion but does it smarter by including interactive English and Spanish subtitles with each video (just mouse over the words you don’t understand). Then, the quiz feature recaps some of the words and terms in the video you just watched before testing you on what you’ve learned. The site keeps track of which videos you’ve watched and will even let you know if a video contains words you’ve already been exposed to. FluentU has a seemingly endless variety of videos that it displays in a handy “Recommended” sidebar, so expect to head down a YouTube-style rabbit hole while you rack up points and meet your daily goals. Intro2Spanish looks pretty well abandoned (think “Next update coming December 2006” abandoned), but it offers a pretty in-depth look at some aspects of grammar, particularly verbs. The “Spanish Verb Lists” is especially handy, breaking down the different types of stem changes to help you figure out if you need to do anything fancy in your conjugation. Be sure to also check out the “Grammar Terms” section to review the vocabulary that’s often used when discussing Spanish grammar. You won’t know when to use the preterite tense if you don’t know what “preterite” means, now will you? Also worth a look is the “Spanish Folksongs” section, which provides lyrics to well-known tunes, Christmas carols and, yes, “De colores” ([Made] “Of Colors”). Regrettably, there are no translations or audio files to be found, but it’s a good place to start if you’re looking for a new song to learn in Spanish. Enforex’s primary business is coordinating study abroad opportunities in Spain and Latin America. However, if you’re still considering whether to go international with your language learning, the site’s language resources may be just the thing to whet your appetite. Click on the “Resources” link and you’ll find verb tense overviews as well as helpful nuts-and-bolts guides to various parts of speech: pronouns, adverbs, prepositions—basically, if “Schoolhouse Rock” did a song about it, Enforex can teach you how to do it in Spanish. Do you have trouble remembering when to use de (of/from) and when to use desde (from/since)? The site’s “Spanish Grammar Doubts” section clears up this and other grammar nuances that can be vexing even to experienced language learners. 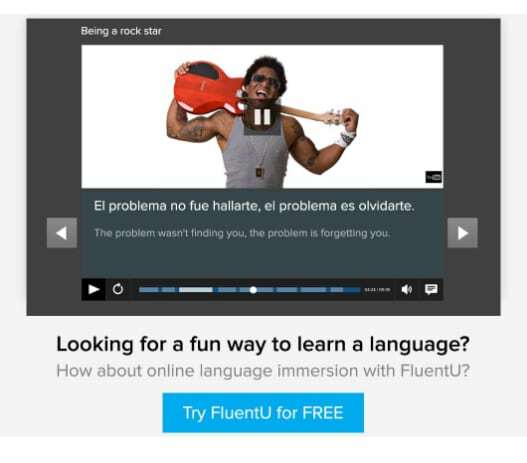 Could learning Spanish really be fácil (easy)? It is if you use the internet! ¡Es fácil! features a thorough guide to por (by) and para (for) along with verb explanations and quizzes. For an extra challenge, the section “Practise Random Verbs” allows you to conjugate an endless stream of verbs from multiple tenses. You can include all the tenses or choose which ones you want to practice. If you need a break from all that conjugating, the website also features a playlist of music videos from the Spanish group La Pegatina (The Sticker). The lyrics are right there in the video, so you’ll be able to follow along with what you’re hearing. If a few irregular verbs are holding you back, Spaleon (short for Spanish—LEarn it ONline) can help. The site’s customizable conjugation trainer lets you pick a verb tense and a set of verbs to practice—perfect for zeroing in on that one verb you keep forgetting how to conjugate in that one tense. By creating a free account on the website, you’ll be able to track your all-time accuracy for every tense and verb you practice. But if you’d rather practice without the pressure of a permanent record, don’t worry; you’ll be able to access the same practice materials without logging in. Quizlet is a sprawling study/practice site you may have already used in school. The site works by allowing users to upload “study sets”—collections of questions and answers that can be translated into flashcards, quizzes and games. After creating a Quizlet account, you’ll be able to browse the site’s collection of study sets by searching for whatever grammar concept you care to learn about. Because the content is user-created, you’ll find some study sets that don’t translate too well across the different formats, so be prepared to miss some fill-in-the-blank questions that really ought to be multiple choice. Even so, practicing a study set in a couple of different formats will really make those concepts stick. The site can also be accessed via app on your iOS or Android device, which means you can switch out your daily dose of Angry Birds for some Spanish flashcards if you are so inclined. Any dictionary can give you a one-to-one translation, but SpanishDict’s in-depth definitions make it an invaluable tool for learning grammar. Each page comes with a breakdown of the different ways a word can be used with examples for each, so it’s great for pinning down nuances and clarifying how to use a word in context. Casual users may not be aware, but SpanishDict has more to offer than the namesake dictionary component. The site has a slough of resources, accessible from the “Menu” tab, that can help you study. The “Language Guide” section includes searchable articles on every grammar topic your heart could desire to learn about, and the “Q&A” section lets you crowd-source tough questions a la Yahoo Answers. And when you’re ready for some practice, check out the “Flashcard” section. Whether you want to get in some listening practice or hear explanations of Spanish communication and culture topics, SpanishPod101 is a great resource for videos and audio files to meet your language-learning needs. After creating an account on the site, you can browse its range of podcast-type audio files and videos, which are sorted by difficulty. You can choose a lesson on some aspect of language learning or, for context-based immersion, check out the audio blogs, which use Spanish to teach cultural lessons from various Spanish-speaking countries. Each lesson includes a transcript, a vocabulary list (complete with a quiz component) and a breakdown of grammar concepts in the lesson. You can follow along with the supplemental materials or download an audio file to take the lesson with you in the car or on your morning jog. Hey, any time can be study time! As a 21st-century language learner, you owe it to yourself to learn about all the different resources that are available to you via the internet. Whether you need to learn something new or practice what you already know, there’s sure to be a website out there that can help you do it!